Show your everlasting love with flowers from Forever and Always Flowers & Gifts! 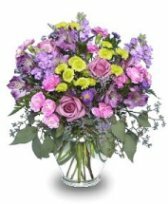 We’re a local Edgewood, NM florist with over 28 years experience in delivering courteous and professional service, along with the highest quality floral and gift items around. Let our talented designers customize a floral arrangement that suits the occasion, as well as your budget and the particular style you're seeking. Our courteous staff is ready to assist you with placing orders for local delivery or anywhere in the world. If you’re not sure what to send, let our creative floral designer make an arrangement with this season’s best flowers. Forever and Always Flowers & Gifts is open to serve your floral and gift giving needs: Monday through Saturday 9:00 to 5:00 and closed Tuesdays. Wedding & Special Event Flowers ~ Large or small, it's sure to be a “blooming success” with bouquets and floral decor from Forever and Always Flowers & Gifts! Call (505) 281-2900 to schedule a consultation and let our design experts help you plan an unforgettable event! 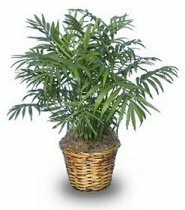 Gift Ideas for Any Occasion ~ Liven up any room or office with lush green and blooming plants or dish gardens. Choose from our selection of unique gift items, including fresh fruit & gourmet baskets, baby items, assorted candy, scented candles, home décor, silk floral arrangements, stuffed animals, balloons and more! Call or visit us today… we look forward to meeting you! Thank you for visiting our website with convenient online ordering that allows you to send flowers day or night from your local Edgewood, NM florist! !